« *** WINNERS *** Diane, Danielle, Susan and Surso are Living the Life of Riley! CONGRATS! 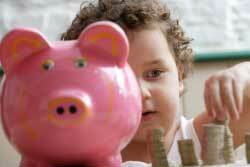 Top 5 Tips for Teaching Your Child About Money Before It’s Too Late! The average American’s amount of debt is $10,000 (Money Talks News). With such a staggering number, we should take as many preventative measures as possible to avoid being buried in a mountain of debt. Surprisingly, though, your finance classes in college are not enough to nip overspending and under-saving in the bud. Our subconscious is almost completely formed by the time we are six years old, and it is around this time when most of our notions about money are formed. As adults, during those moments when restraint goes out of the window, we tap into our subconscious and our deepest feelings – the ones that shaped us as youngsters – come to light. For example, pretty much all of us are taught from a young age that setting personal boundaries is selfish. When was the last time your coworkers went for post-work cocktails and pressured you into going, even though you knew it was over your budget? These types of scenarios have been happening to you your entire life, and it takes practice and acceptance of these feelings to overcome these poor money habits. Dig in your piggy bank. Maybe as a child you saved all your lemonade stand money diligently in an increasingly hefty piggy bank, or maybe you blew it all on candy at the grocery store. Either way, childhood experiences dealing with money can subconsciously impact your spending habits as an adult. For example if kids called you “poor” at school because your parents couldn’t afford brand-name clothes, you may justify splurging on designer clothes now because you still have that deep-rooted insecurity about being singled out when you were younger. Write down any experiences that come to your mind about money as a child so you can start overcoming these scarring situations. Set personal boundaries. As a child peer pressure plays a big role in how we react to situations – even if you wouldn’t normally drink before prom, your friends teasing you could be incentive to go along with it. These familiar situations are replicated in our adult life, and the only thing we can do is be aware of this and change ourselves. Next time a friend asks you out to a dinner you can’t afford, recognize your behavior patterns and hesitate before you say yes. Can you really afford this? Is it worth it? Chances are your friend will respect your honesty if you politely decline or request a less pricey alternative for a social gathering. A penny for your thoughts. This week, while your kids are doing homework, spend some time reflecting on your own childhood experiences with money. Did your parents encourage you to use your money a certain way? Did you have a job babysitting or mowing lawns as a kid? Journal about the things that come to mind. Take a personal inventory. What were some of the things you wrote down? Did you quickly spend your allowance or did you tightly hold on to it? What do you feel when you remember those childhood experiences? And how does that feeling shift when you think about how those experiences affect you today? Set an example. Now that you know these things about your own childhood, make sure your child has a healthy view on finances from a young age. Discuss the importance of generosity and being grateful for what you have and the fact that happiness does not come from material satisfaction. The deep-rooted anxiety many of us feel about money is hard to kick, especially if your financial situation as a child wasn’t as sunny as The Wonder Years. So why is this anxiety so hard to let go? Most unhealthy behaviors are the result of two types of internal emotional conflict: having needs that aren’t met or having trouble setting personal boundaries. When you look over the things you wrote down, you can take the knowledge that these insecurities stem from your monetary past, which makes it easier to accept and move past it. Whenever you feel financially insecure, take a deep breath, be thankful for what you have, and realize you’ve come a long way, baby. Chicago Healers (www.ChicagoHealers.com) is the nation’s pioneer prescreened integrative health care network, offering a comprehensive understanding of each practitioner’s services, approach, and philosophy. Our holistic health experts teach and advocate natural and empowered health and life choices through their practices, the media, educational events, and our website. One Response to Top 5 Tips for Teaching Your Child About Money Before It’s Too Late! Great tips. I need to start teaching my kids about money. 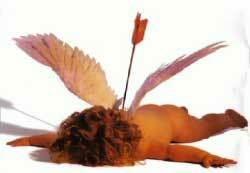 Single on Valentine’s Day? Here are 7 Fun and Frugal Ways to Celebrate!